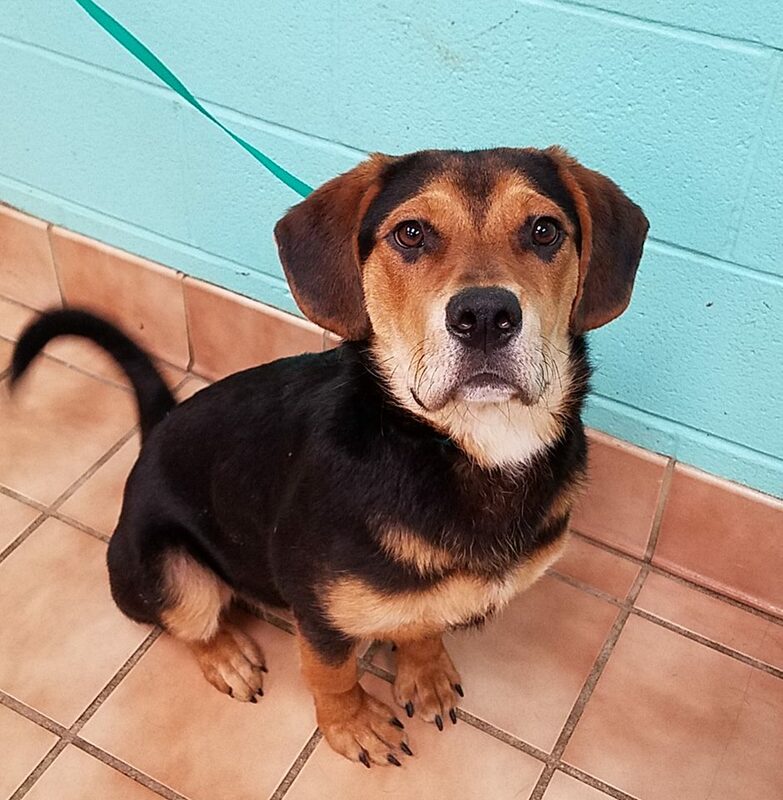 About rover: **RESCUE ONLY** 276578 Rover, neutered male Hound mix, 9 mos. 40 lbs, heartworm negative. Rover is struggling with finding a suitable home willing to work through his "puppyhood". He was original surrendered by his owner for nipping the child in the home while on a walk. With us, he has been just a usual silly, frisky puppy who loves to play. We placed him up for adoption, and he was returned two different times for not minding and being mouthy. In one instance, he did bite when they were making him go into his crate. We have seen the mouthiness here, but we haven't seen any sort of aggression at all. He is young and spirited, but I found him no trouble really to handle. He needs training. He needs consistency. We do not want to give up on him. He is going to need some time in a foster home before he is adopted again to see just what he is all about and what his needs will be going forward in a home, so that his next placement will be successful.